Born in 01/01/2001 - He is from Tibet! Hence the long Chinese name! He is from the Nanjing MLB academy and is currently preparing for the Annual 11th Asian Youth Baseball Championship. Will join the Gulf Coast League Redsox in August. Very attractive young man and I'm not stroking egos! Once there is more information about Zeng, I will update ASAP! 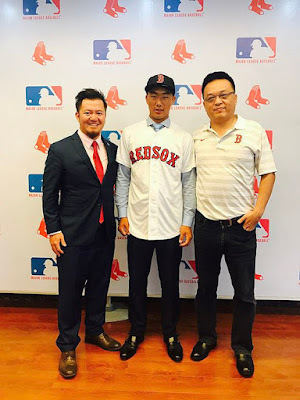 This is very exciting time to be a fan of Chinese Baseball (I'm full of it)! Gong Hai Cheng has been official listed on the GCL Pirates website, but is currently inactive. Also, I found out his contract is only about $10,000 USD. Anyway, thanks for reading and have a great morning! I can't sleep! This is the best function room in the city. The food they served at event space NYC was warm, fresh and tasty, and the panoramic window is a sight to behold on a clear day. Their main hall was similar to a club/lounge – however, it had more of an intimate feel.